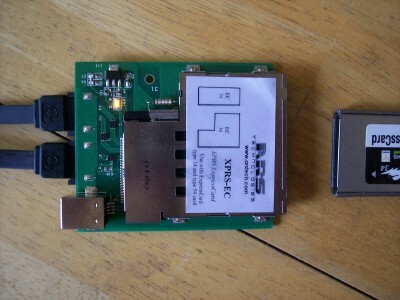 The image shows XPRS-EC product, cables coming from XRPS-HOST-.. card, and one ExpressCard type34 peripheral card. 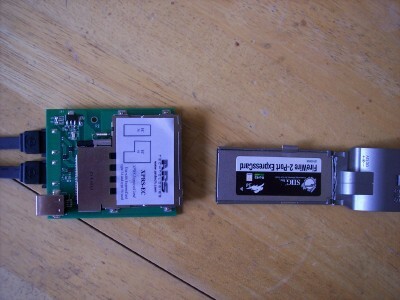 ExpressCard type54 peripheral card is supported as well. 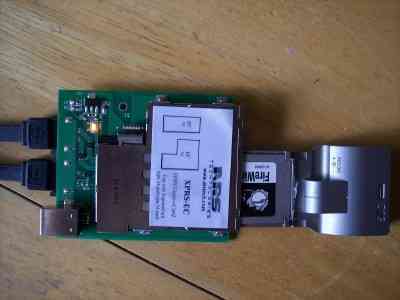 There are 2 ways to connect the 2 cables to the connectors on XPRS-EC. When the host system is a notebook, and the operating system supports ExpressCard slots, you can dynamically insert/remove ExpressCard type34 or type54 card on XPRS-EC. ARSTech Enumerator provides indication of events, and additional software support for hot insert / remove.